Very nice tribute once again. "The loss of Joe Scott as his arranger took its toll, and his early seventies output was inconsistent." Could very well be, yes. But do you know the Duke 45 "I'm so tired" from 1972? If not, you need it. Killer! 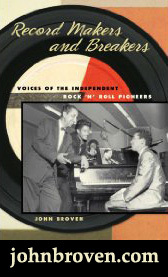 (1990, but a reissue of one from the late 1960s), still great and incredibly cheap. 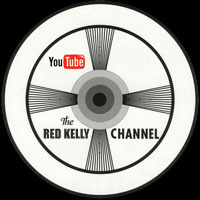 All his Duke recordings were issued in about three multiple-CD sets a few years back. "There was a comment (I am not signed on that blogsite) from anonymous about how few dates there were for Bland's tour. He is touring with BB King on BB's 80th birthday tour." "he’s preparing to headline an international tour, starting on March 29 with a swing through the UK, concluding with a concert at the famed Wembley Arena." SO, it's certainly worth looking into... I mean the last two Beale Streeters together again... sounds like a must see! 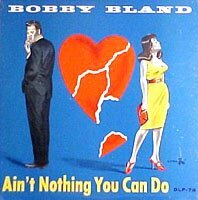 Great post on Bobby Bland, one of my favorite R&B vocalists (how do you like the way I sidestepped the "soul-blues" thing!) ... 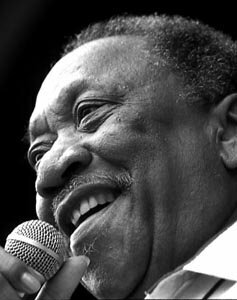 I saw Bland in 2000 or 2001 at the Chicago Blues Festival ... he gave a good show. Thanks for the great write-up on him. 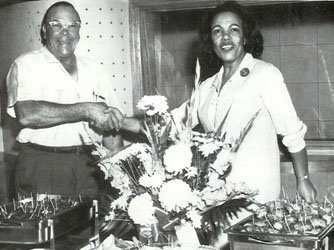 Thanks for the great post about Don Robey and Evelyn Johnson (“Aunt Evelyn” as my sister and I called her. Aunt Evelyn was the best friend of our mother and lived across the street from us. We have fond memories of peering out of our living room window at Christmas as Bobby “Blue” Bland and countless other musicians from the Duke/Peacock label came to drop off their Christmas gifts for Aunt Evelyn. After a few hours we would run across the street and see what gifts her clients had given her. Sadly, Aunt Evelyn passed away, November 2006. She had been ill a long time. Thanks for the ride down memory lane. Jessica, in New York City. I had heard just recently that Ms. Johnson had passed. My condolences to you and your family. Her name came up in a recent conversation with Sax Kari, who worked closely with her 'back in the day'. He said she was a wonderful person. I'm sure she was! Thank you, Jessica, for sharing your memories with us. 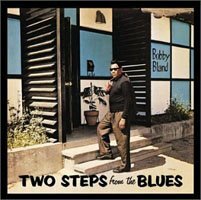 You guys forget, much of Bobby's success came while he had Wayne Bennett at guitar: Saint James Infirmary, Member's Only and the original Stormy Monday. NO ONE and I do mean NO ONE has come close to his style of playing since his last departure from the band. It was their chemistry that made the music second to none. I am truly sorry if you got the impression that we forgot Wayne. As I said in the post, I was lucky enough to see him perform with Bobby in the late eighties, and I have nothing but respect for the man. I consider him to be an absolute genius, and his work on songs like 'I Pity The Fool' and 'Stormy Monday' bear witness to that fact. If I failed to emphasize that, it was because I have been planning a post that will focus on Mr. Bennet himself for some time. I have the 45 I want to use all ready, but have been having a difficult time locating any information and/or pictures on him for the post (which is an absolute crime). I actually met Wayne in New Orleans in 1991. My conversation with him that afternoon remains a treasured memory. Thank you, and please believe me when I say that I consider Wayne Bennett to be a true guitar hero. Hi there from London UK. It was on a label called Vogue here in the UK who had the distribution rights for Duke/ Peacock. It was so rare as most blues so called purists here at that time wouldn't touch anything that wasn't Delta or Chicago.I remember buying it from a West Indian record store in Brixton South London.Can you imagine the looks I got-a skinny 17 yr old white guy asking for Bobby Bland.I recall being amazed at the LP cover.Bobby in wraparound shades and brown mohair slacks outside a cream and blue house.Wow.It was like another planet. I saw him in concert in the UK a few times.One with B B King,also as part of a Malaco Blues Package.The best one was in a small London venue where he headlined with..
Nuff said.Never to be forgotten. 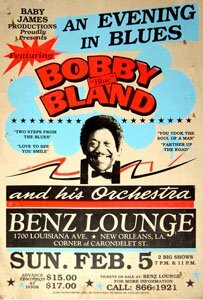 I FIRST SAW BOBBY BLAND IN 1962. FOLLOWED HIM THROUGH OUT THE GREAT 60'S ERA AT CLUBS AND SHHOWS IN HOUSTON. HE IS THE GREATEST OF ALL-TIME, NO ONE ELSE COMPARES, NOT BB. 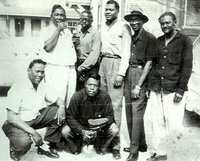 NOT MUDDY WATERS, NOT JOE TURNER..NO ONE. 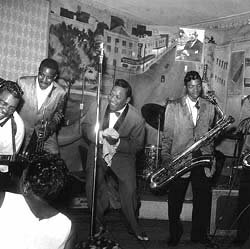 I LIVED IN HOUSTON DURING THOSE GOLDEN DAYS OF SOUL AND SAW EVERY MAJOR ACT AT THE PALADIUM BALLROOM, MECCA FOR SOUL AND BLUES. 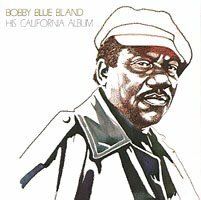 I first saw Bobby Bland at a nice club in Houston, Texas. It was June of 1962 and he put on quite a show! The Jimmy Menutis Club was as close to a 'nightclub' as anything in Houston at the time in the early sixties. Seemed to me it was owned by gangsters, but maybe that was just implied somehow by the name. I do remember dark short white guys walking around. The place must not have really cared about who they served because I probably looked about 11 when I went there even though I was in high school. It was small, with a stage at one end and red table cloths on the tables; kinda classy. I saw Bo Didley and I think, King Curtis. 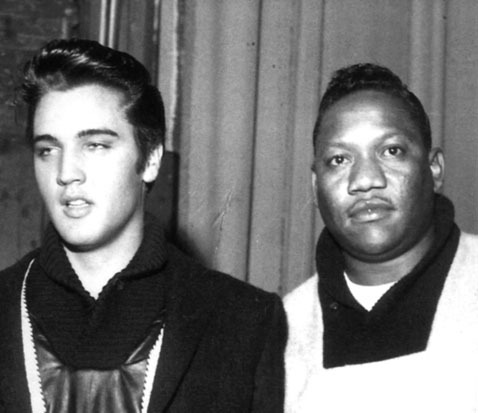 My favorite memory was of Jimmy Reed of whom I was a giant fan. Jimmy was to have played one night (I used to have the picture I swiped from the club), but as the night wore on, he continued not to show. Rumors circulated through the club that he was 'sick', then that he'd been to the hospital to have his stomach pumped having been drinking 'wine, screwdrivers, and beer'. He finally came on hours late and it was still great. The highlight for me, however, and a scene that is branded into my memory, is of him playing along when suddenly his guitar separated from it's strap and plummeted to the floor. The guy next to him, who played the classic 'da Da, da Da, da Da, da Da' rhythm, reached over and grabbed it without missing a beat LIKE IT HAPPENED EVERY NIGHT. It was most interesting!" I wanted to thank you for this great write-up. I'm 50+, and pay a lot of attention to music, yet never heard of Bobby until recently. Forgot how I was linked to Bobby, but I ended up with his Anthology album. 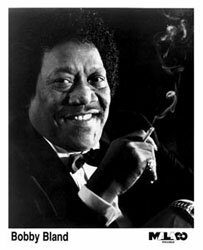 He's literally the greatest blues singer I've ever heard. The Wikipedia write-up is bland. Yours has so much heart. Thanks - and I'm listening to Bobby as I type. 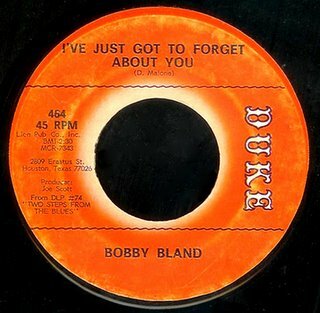 Bobby Bland is the essential Memphis real deal. Essential Blues and Soul. 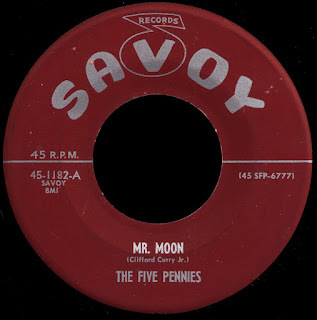 My rule is, if he recorded it for Duke Records, it is essential. I liked these records as a little boy, I love them more today. And I love his modern output for Malaco today. I enjoyed this article very much. I played with Blue from 1981-1991 after leaving Johnnie Taylor and Z.Z. Hill's bands. 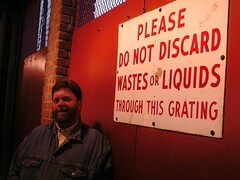 I was in fact Wayne Bennet's roomie on the road during hotel stays. Just as equally talented was Mel Brown who recently passed in Canada also on guitar. Too many stories to tell as the only anglo :) If you saw us during this period I was playing trumpet.